Assignment of the policy can be used to gift your insurance policy to someone or to take a loan against your policy. But the final decision of assignment of your policy is in the hands of the insurer, which puts restriction on any misuse of the assignment clause under your life insurance policy. Everybody knows that a life insurance policy provides protection against life, but there are many options and benefits which come along with a life insurance policy and most of the people are not aware about it. Due to this unawareness, many people do not know about various provisions offered under a life insurance policy. One such provision is the “Assignment Clause” under your life insurance policy. It allows the transfer of the rights of the life insurance policy from the policyholder to another person or entity. So, through this article, let us demystify various aspects of Assignment under a life insurance policy. What is an Assignment of life insurance policy? Assignment of life insurance policy is the process in which the policyholder legally transfers the rights of life insurance policy to another person for various reasons. The process of transfer is known as an Assignment. Assignment Clause is expressed in section 38 of the Insurance Act,1938. The policyholder who assigns the policy (transfers the rights) is known as “Assignor” and the person to whom the policy is assigned is known as “Assignee”. After the assignment of the life insurance policy, the assignor loses his rights over the policy and the assignee becomes the owner of the policy. You can assign a policy for taking a loan against your life insurance policy or even if you wish to gift it to someone. While taking a loan, you assign the policy to the bank and the bank becomes the owner of the policy, but the life assured in the policy is the policyholder, so that even if the original policyholder (assignor) dies, the bank can get the death benefit to recover the loan. So, the life insurance policy will serve as a collateral for taking up the loan from the bank. 1. Absolute Assignment - Absolute assignment means the complete assignment of the ownership, benefits, liabilities under the life insurance policy from assignor to assignee without any terms and conditions. No conditions are applicable in the absolute assignment. Once the policy which is assigned cannot be owned again by the assignor. Example- Nitin owns a life insurance policy of Rs 10 lakh and he wants to gift his life insurance policy to his mother. So he will have to go for an absolute assignment of the policy. After the assignment of the policy, the death benefit or maturity benefit of the life insurance policy will be paid to Nitin’s mother. Nitin will not have any right over the policy and its benefits. After the assignment of the policy, if his mother wishes to gift this policy to someone else, then she can easily do so subject to the clauses and acceptance of assignment request by the insurance company. 2. Conditional Assignment - Conditional assignment means the transfer of rights will happen from assignor to assignee subject to the specified terms and conditions.Once the conditions are fulfilled, then the life insurance policy is assigned back to the original assignor from the assignee. For example, Vijay has a life insurance policy of Rs 20 lakh and he wants to get a loan of Rs 20 lakh from the bank. So, Vijay (assignor) can do conditional assignment of the policy under which he will assign the policy to the bank basis the condition that all the rights, benefits of the policy will stay with the bank (assignee) till the time Vjay has an outstanding loan amount. In case Vijay fails to pay the loan, the bank can recover the outstanding amount by surrendering the life insurance policy. If Vijay is able to pay back the loan amount to the bank then the bank will reassign the life insurance policy back to Vijay. If Vijay dies before paying the loan to the bank, then the bank will get the death benefit and no family member of Vijay will have any right over the policy. In case benefit received under the policy is Rs 20 lakh and outstanding loan is for Rs 10 lakh, the insurance company will give Rs 10 lakh to the Bank and the remaining amount to the legal heirs of Vijay in case of his death. What is the difference between Assignment and Nomination? The nomination is the right given to the policyholder to appoint a trustworthy person, who is entitled to receive the policyproceeds of the life insurancein case of death of the policyholder. The person appointed by the policyholder is known as the nominee. The basic difference between a nomination and assignment is that while in nomination, the nominee will have no right on the benefits of life insurance policy if the policyholder is alive and is simply the receiver of the policy benefits in case of death.The nominee is liable to transfer the same to the legal heirs. On the other hand, in the assignment clause, the assignee has full right on the benefits of the life insurance even if the policyholder is alive. This happens because in assignment, all the rights, including the liabilities of the policy is transferred to the assignee and the original policyholder’s right is terminated (basis the type of assignment) while in nomination, the policyholder only nominates the person for receiving policy money after the death of the policyholder and all the rights remains with the policyholder and his heirs. 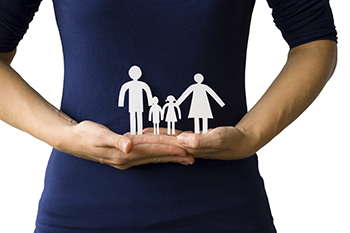 How can a Life Insurance policy be Assigned? There are two ways of assigning a life insurance policy.The assignment request has to be made in writing. The first way is through endorsement on the policy document and the second one is by a separate assignment deed (stamp duty has to be paid). In any of the conditions, you will have to give noticeto the insurer about your assignment of the policy in writing and send requisite documents for the same. The assignment should be attested by at least one witness and signature of the assignor is also compulsory.The conditions may vary from insurer to insurer. Can an Insurance Company decline the Assignment request? Yes, an insurance company can decline your assignment request.With the addition in Insurance Act 2015, an insurer has the right to accept or decline assignment of the policy. This addition in the insurance act was made because of the useof assignment of life insurance policy as a profit making business. Trading of life insurance policy is strictly banned and is considered illegal. If the insurer finds that your reason of assignment is not genuine or is forceful then they will decline your assignment request. Who gets the Tax benefit after assignment? Even after the assignment of the policy, the tax benefit stays with the assignor(if he is paying the premium) because his life is insured under the policy. Even if the assignee is paying the premium, he will not be entitled to any tax benefit. In the case of assignment of policy to bank for loan, the premiums paid by the assignor are tax deductible. Lastly, assignment of the policy can be used to gift your insurance policy to someone or to take a loan against your policy. But the final decision of assignment of your policy is in the hands of the insurer, which puts restriction on any misuse of the assignment clause under your life insurance policy. The author, Harjot Singh Narula is Founder and CEO of Compare Policy.